God makes a way –through the desert, through the valley, through the floods, through the fire, through depression. Don’t stop now. Look for His way. Glad to share. There’s plenty to go around. The mercy, love and kindness of God is so amazing. His love redeems us and makes a way and provides abundantly where we had floundered. 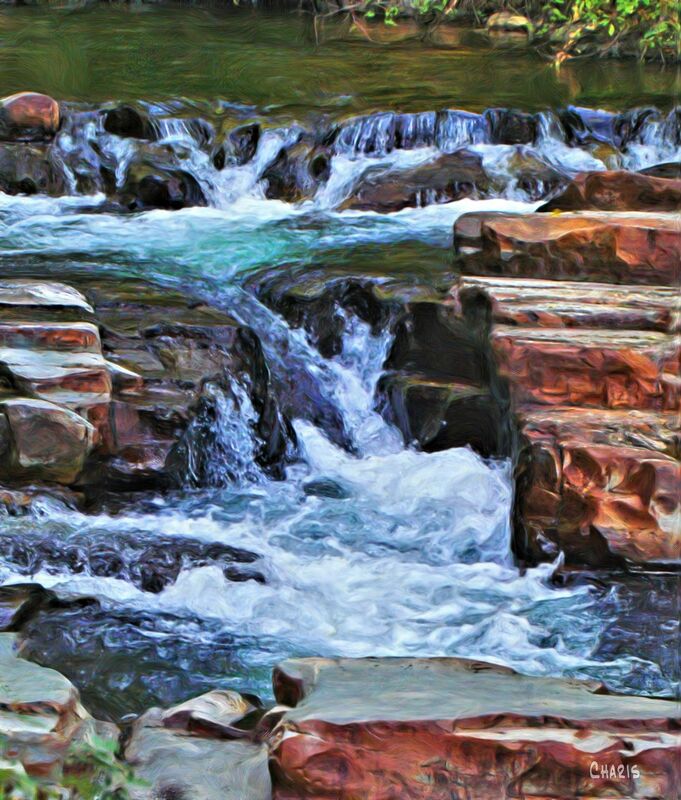 Love your photo Charis, the Rock and rushing water! Thank you!